When you've lived for 112 years, there's not a lot someone can give you for your birthday that you haven't already received. 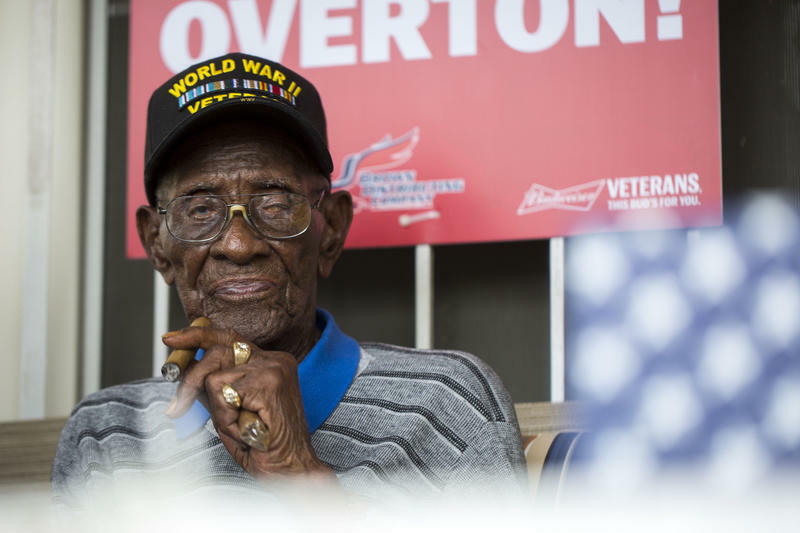 That's why Richard Overton, America's oldest World War II veteran, is thinking big. "I want a million dollars if you're going to give it to me," he said Thursday from the front porch of his East Austin home. 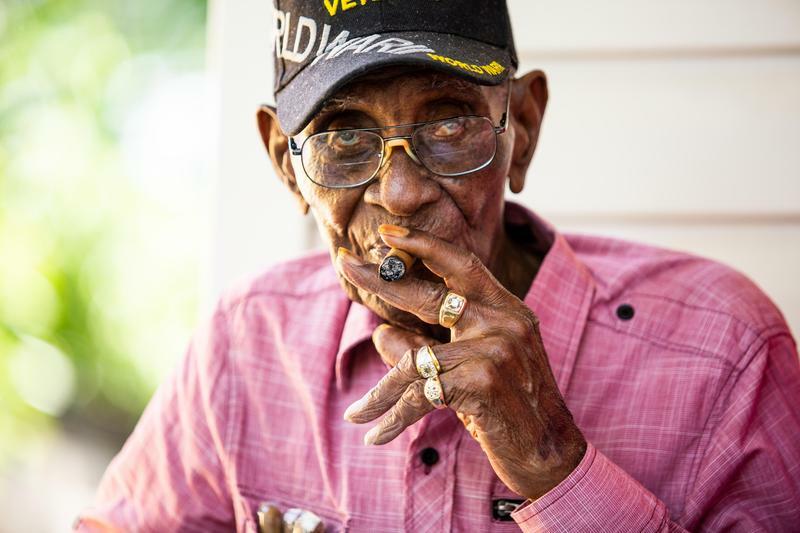 Austin resident Richard Overton, the oldest known living World War II veteran, is getting a free home upgrade. Meals on Wheels Central Texas has partnered with The Home Depot Foundation to repair the homes of veterans around the country. 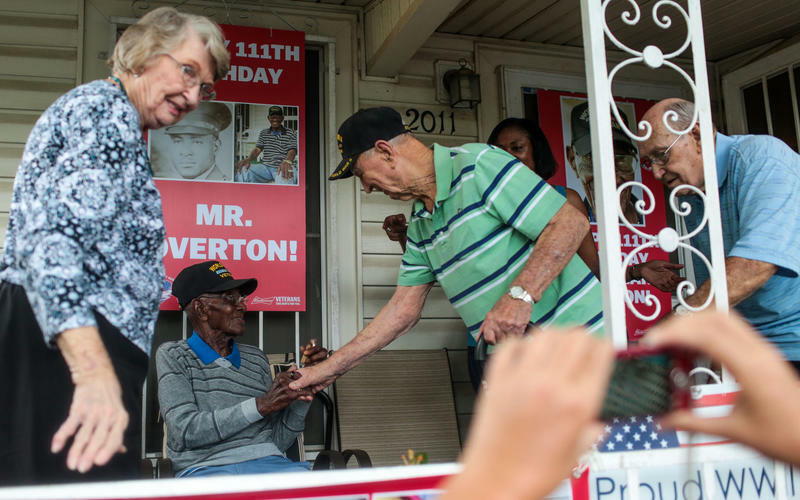 At 111, Overton is one of their oldest clients. He built his home in the late 1940s after returning home from the war and has lived there ever since. 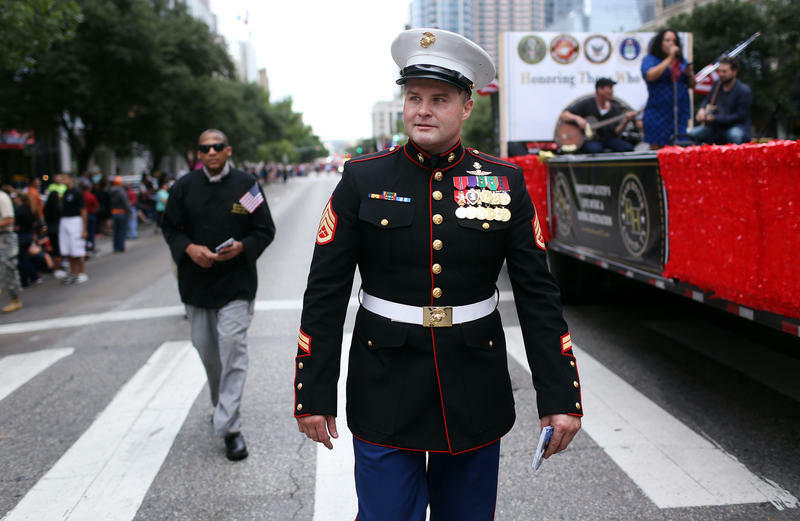 Hundreds of veterans and their supporters marched up Congress Avenue Wednesday to the state capitol, where a commemoration ceremony took place for Veterans Day. Among those attending were Austin Mayor Steve Adler and Texas Governor Greg Abbott.